The crown refers to the part of a human tooth that is visible to us. The enamel, dentin, cementum, pulp, root, periodontal ligaments, etc., are important parts of the tooth structure. 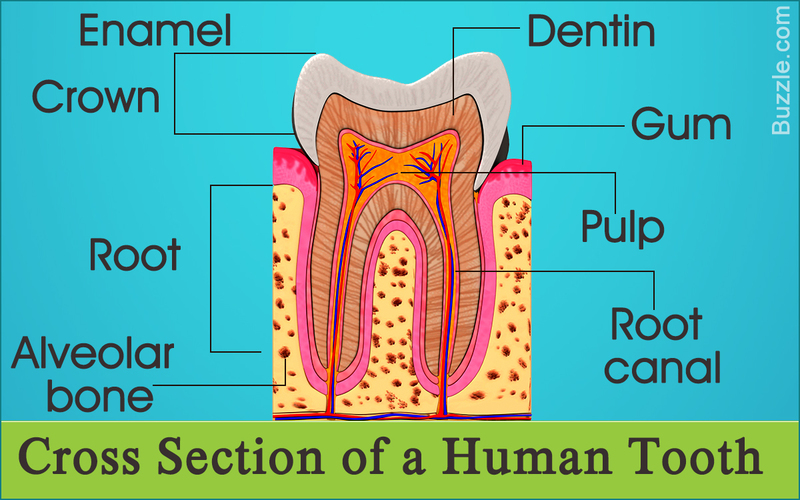 Bodytomy provides labeled human tooth diagrams to help you understand the human tooth anatomy. The enamel coating that covers the crown of the teeth is the hardest part of the human body. While human teeth start forming in the womb, the process of teething or the eruption of teeth through the gums begins after six months. Milk teeth, which are also called deciduous teeth, are the first set of 20 temporary teeth that start appearing between the age of 6 to 10 months. These erupt by the age of 3 years and are shed by 12 years. The spaces left behind by the milk teeth are filled by permanent adult teeth. Normally, adults have 32 teeth, with 16 teeth each in the upper and lower jaw. 28 of the 32 permanent adult teeth erupt by the age of 13 years. It must be noted that only two-thirds of each tooth is visible, while one-third is underneath the gums. The part of the tooth that is visible is referred to as the crown. It is covered with enamel. The part of the tooth that cannot be seen and anchors the tooth to the bone is referred to as the root. It is covered by cementum. The area where the crown and the root meet is known as the cementoenamel junction (CEJ) or the neck/cervical line of the tooth. The crown or the visible part of teeth is covered by enamel, which is a grayish-white/translucent tough mineralized tissue that is formed by ameloblasts. Hydroxyapatite, which is a naturally occurring mineral form of calcium apatite, provides rigidity to the teeth. The enamel is the hardest tissue in the body that protects the teeth from temperature changes or stress/pressure during mastication. Though enamel is very tough and protects the teeth from chemical reactions or force exerted on the surface of the tooth while chewing, biting, crunching, and grinding, it doesn't contain living cells. Therefore, it doesn't have to ability to grow or repair itself. If teeth are not cared for, then enamel can get damaged. However, the process of remineralization can take place, if proper care is taken. The enamel protects dentin, which is a hard calcified connective tissue that makes up most of a tooth. It is formed by odontoblasts. It is dentin that is responsible for the color of the teeth. It is harder than bones, but softer than the enamel. It lies under the enamel in the crown. In case of the root, dentin lies under the cementum. It is classified into primary dentin (which forms during the eruption of a tooth), secondary dentin (which forms inside the primary dentin), and tertiary dentin (which forms in the event of trauma in case of erosion of the enamel or dental decay due to cavities). Cementum is a thin calcified covering of the root of the tooth. It is divided into primary and secondary cementum. While the former coats the entire length of the root, only the latter continues to form around the apex or apical half of the tooth root after the tooth has erupted completely. It is not as hard as enamel or dentin, but it is harder than bone. It doesn't have a blood supply and has the highest fluoride content. It contains fibers that help to anchor the tooth within the bone. Lying beneath the dentin is the pulp cavity that comprises the nerve tissues, cells that produce dentin, blood vessels, lymphatic vessels, and connective tissue that constitutes the pulp. The pulp chamber is located within the crown. The pulp, which is the soft core or center of the tooth, is a vital part of the human tooth as it provides nourishment to the tooth and repairs the dentin. The blood vessels in the pulp chamber are responsible for supplying nutrients. Root/pulp canals refer to the part of the pulp chamber present inside the root of the tooth. Pulp chamber and canals reduce in size, as the secondary dentin forms. The parts of the pulp that project upward toward the cusps or the lobes of the crown are referred to as pulp horns. If the pulp tissue gets damaged due to trauma or dental decay, pain and sensitivity signals are transmitted via the nerves in the pulp through the apical foramen, a small hole in the apex or the end of the root. The root is that section of the tooth that is embedded into the jawbone. The number of roots can vary, depending on the type of the teeth. For instance, incisors and canines have a single root, whereas upper molars can have up to three roots. Root canals are narrow channels running along the length of each root. The number of root canals also depends on the tooth. Each tooth root has at least one root canal, which is why molars can have three or four root canals. Blood vessels, as well as the nerves enter the tooth through apical foramen. The term 'periodontium' refers to the tissues that surround and anchor the teeth. It comprises the gingiva, alveolar mucosa, cementum, periodontal ligament, and the alveolar bone (bone that forms the sockets for the teeth). Made from bundles of connective tissue fibers, the periodontal membrane or ligament is a connective tissue that is arranged in bundles of fibers. It is located between the tooth and the alveolar socket. The fibers are attached to the cementum that covers the root of the teeth, as well as the alveolar bone and the cervical gingivae. It anchors the teeth within the jaw and also helps the tooth withstand the mechanical stresses involved in biting and chewing. Gums (gingiva) is the tissue that covers the upper and lower jaw. It is a soft tissue lining surrounding the base of the teeth. It is covered by a mucous membrane. In case of healthy adults, the color of the gums should be pink. However, the color can vary. While teeth can be identified with the dental numbering system, the DAQT system can be used for describing the location and the type of the tooth. DAQT stands for Dentition, Arch, Quadrant, and Tooth Type. Dentition refers to the set of the teeth and includes the type, number, and arrangement of teeth. The eruption of milk teeth/deciduous teeth (first set of temporary teeth that appear in the childhood) is referred to as primary dentition. The term 'mixed dentition' refers to the presence of a combination of primary and permanent teeth in children between the age group of 5 and 12 years. Both the maxillary (upper jaw) and mandibular (lower jaw) dental arches contain similar types of teeth. 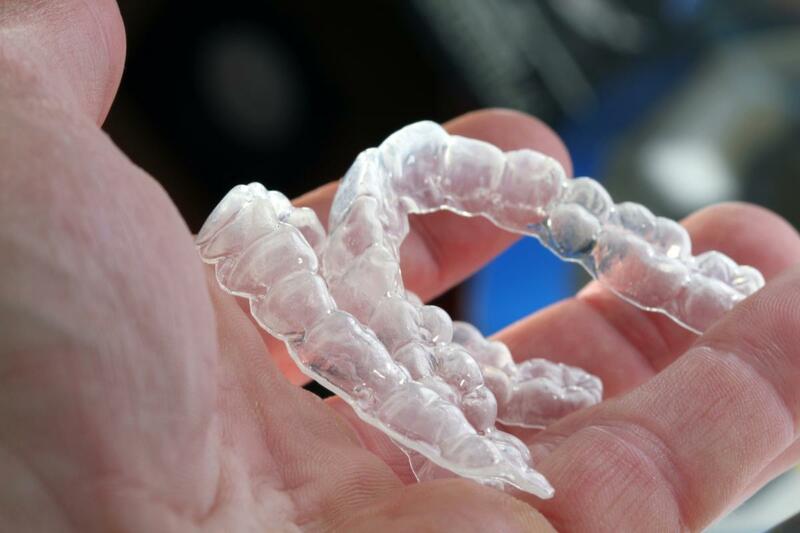 Together the upper and lower dental arches contain eight central incisors. These are divided into central incisors, which are the four front teeth in both the upper and lower jaw that help in cutting or incising food. The two lateral incisors are located next to the central incisors in both arches, one on either side. Due to their thin edges, these help in tearing food. Canines, which are also known as cuspids, are located on either side of the lateral incisors. They have the longest root and a pointed cusp. They help in holding and tearing food. Together, incisors and canines help us tear and bite food. Premolars, which are also called bicuspids, are located next to the canines. These are only present in the permanent dentition, which means that children don't have premolars. The first premolars are located next to the canines. In the upper dental arch, the first premolars have two roots, while the other premolars have one root only. Next to the first premolars lie the second premolars. These are also used for grasping food. They have two cusps on the biting area for tearing and crushing food. There are three sets of molars that are located behind the second premolars. Each dental arch contains six molars, with three molars each on each side of the mouth. Each of these has three roots. The third molars, which lie on the farthest end, are also called wisdom teeth. Due to the presence of four or five cusps and flat surfaces, these help in biting, chewing, and grinding food. Teeth are considered to be a part of the skeletal system, though they are not considered to be bones. They play a vital role, as the digestion of food starts in the mouth with the mastication of food by our teeth. Teeth also help in the articulation of speech. Therefore, attention must be paid to oral hygiene. Damage to the enamel and dentin can cause damage to the living pulp tissue. Therefore, one should brush and floss the teeth regularly to prevent the formation of plaque. It is advisable to visit a dentist at regular intervals.